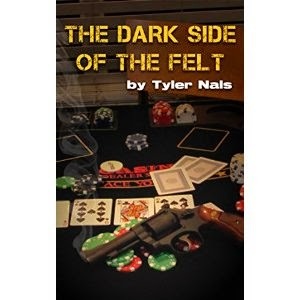 Tylar Nals' "The Dark Side of the Felt" is about a man's journey through the world of underground poker. The main character details his many experiences playing underground games, including a game held in a twenty-something's parent's garage as everyone smoked weed (it became a factor during the game). Nals has a knack for writing in a way that transfers the humor of the situation to the reader, and I found myself laughing out loud a number of times. The stories are engaging, and the author does a good job of capturing the suspense of the game. It's clear he knows poker like the back of his hand. I would recommend this book to you if you want a fun, humorous book about the life of an underground poker player! Thank you! Glad you enjoyed. I recently published A Fishy Poker Tournament if you would like to check it out. Thanks again!